Throughout the year, we discover many new travel items. Some things are great and some not so great. We personally used all of these and thought we would bring to you the ones that were fabulous. Many are not the typical travel items you read about so much. These are a little more unusual and probably things you didn’t know existed. Here are our top seven travel items of 2018. The folks at ORGO are committed to finding smart solutions for small spaces. They came up with the ORGO organizer. It’s great for travel. 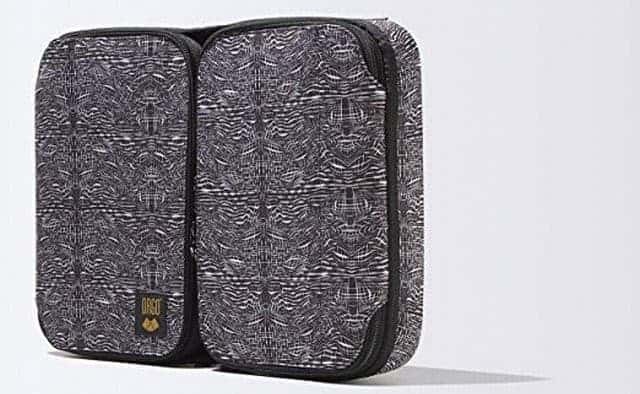 Whether you’re on a plane, RV, cruise ship or hotel room, this organizer is perfect for a women’s cosmetics. Its innovative design is perfect for small bathrooms with limited counter space. If you travel outside of the US, you will most likely be faced with a hotel bathroom with just a pedestal sink. That’s where the ORGO excels. 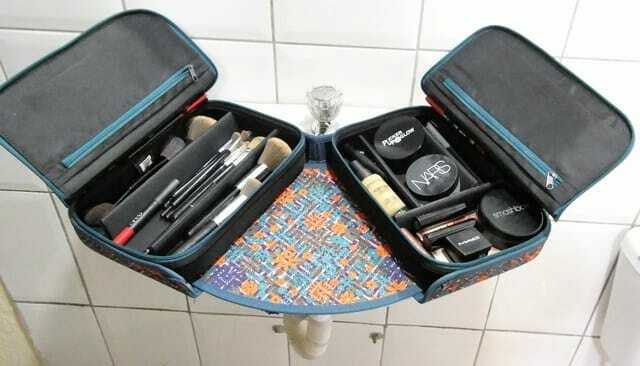 You can pack all of your makeup neatly in the different compartments (2 with zippers). Then it expands from 15 inches to 36 inches to create your own tabletop over a sink. The ORGO is lightweight, durable and they make it to fit into a carry-on. Here is a picture of us using it in a Slovakia hotel. Our emphasis and test were for travel items but this can also be used for everyday use and even to store craft supplies. It comes in a bunch of different colors. I know bed bugs are something most people don’t want to talk about but they are a reality. 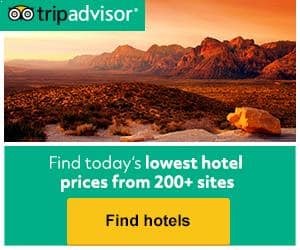 It’s surprising the number of travelers we meet that have been bitten by bed bugs. With this travel size 2-ounce bottle, you can be sure that bed bugs won’t bother you. Simply spray the hotel bed and sleep sound. 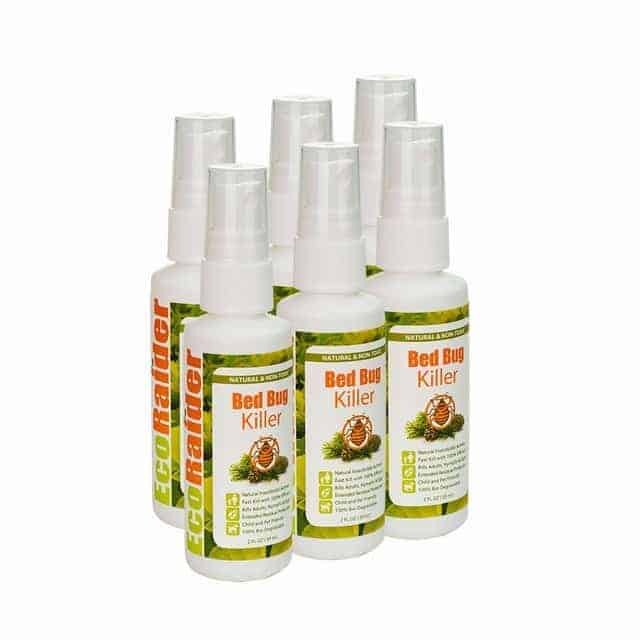 I know that all this talk about bed bugs is making you squirm but I have to tell you that the spray also works great on bed bug eggs. And to ensure you don’t bring any of those nasty critters home, spray it on the outside of your luggage. EcoRaider is the only natural product that kills bed bugs with 100% efficacy, according to Entomological Society of America journal publication. Mosquitos can be such a pain. We used the EcoRaider Mosquito repellent while we were in India for 17 days. In a country where you have to worry about Malaria, wearing a good mosquito repellent is necessary. We all know that DEET is an effective repellent but at what cost? I never liked that chemical on my skin. 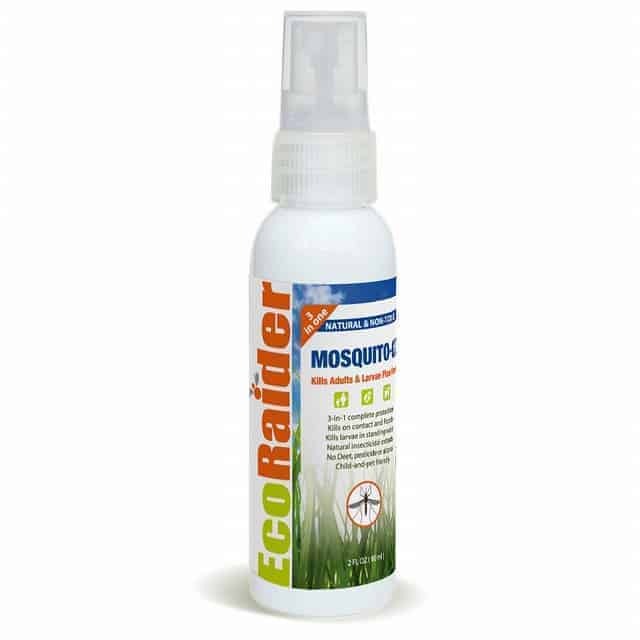 EcoRaider makes an effective repellent that is safe for not only you but also the environment. While in India, we never had a single mosquito problem. On the way back, we stopped in Florida to see family. If you think mosquitos are bad in India, you need to be by the beach and intercostal of Florida. Our friends were being bitten like crazy whenever they had to take their dog outside. Basically, they wore long pants and a long sleeve shirt when walking the dog. They tried our EcoRaider repellent and were amazed at how well it worked. From bites to no bites. In addition, they love that it is safe for their dog. EcoRaider Natural & Non-Toxic Mosquito & Flying Insect Killer is all you need to protect your family during the mosquito season. It has not only effectively repels, but also kills 100% adult mosquitoes instantly by contact. When applied in stagnant water, it kills 100% of existing larvae effectively but also keeps two weeks residual efficacy killing new larvae. All of the EcoRaider products make great travel items and are eco-friendly and non-toxic but lethal to targeted insect and pests. It does not affect humans, animals, birds, and fish. It delivers outstanding performance while being non-toxic and safety, proving that green can work effectively. If you fly on planes, then I’m sure you’ve had plugged ears. For some people, this can be very painful and they can’t always unplug them the conventional way. 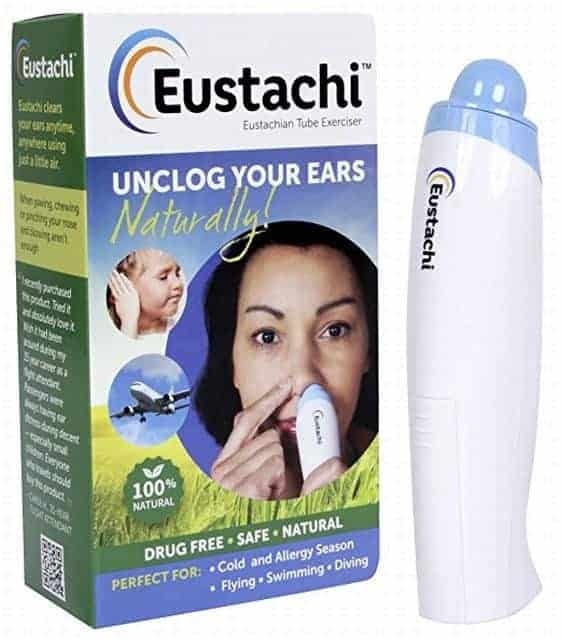 Eustachi works with your body to clear your ears anytime, anywhere using just a little air. It’s all natural, safe and completely drug-free. Great for cold and allergies, flying, swimming, and diving. Plugged ears are no fun. Especially when flying. Tina sometimes has real problems with getting her ears to unplug. We heard about this small electronic device that supposedly works miracles. The Eustachi works by helping exercise your Eustachian tubes using a little bit of air. 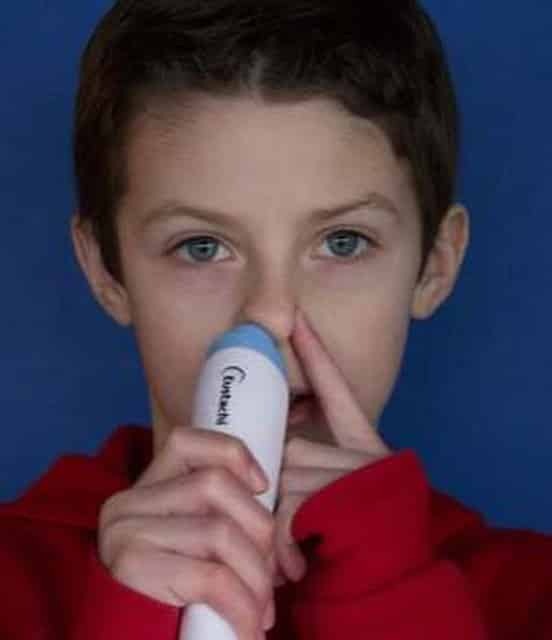 The air is delivered into your nostril where it can reach the Eustachian tube openings. Combine that with a timely swallow and the pressure behind the ears is equalized. For some people, this could be a lifesaver for comfort. Their website offers lots of information on the Eustachian tubes including how to videos and Eustachian tube exercises. They also have a 100% money back guarantee. So if it doesn’t work for you, no loss. 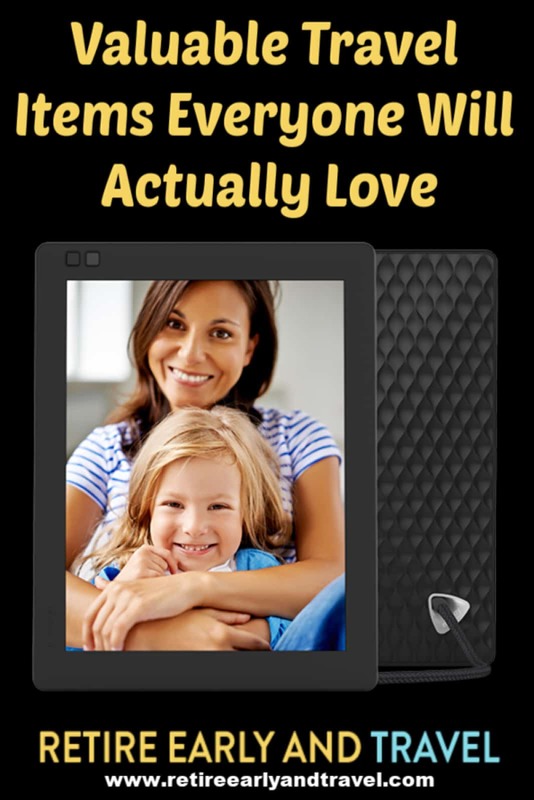 This battery operated device is small and can easily be carried in your carry on or purse which makes it an ideal pick for my travel items list. The most common illness that travelers face is traveler’s diarrhea. Not something fun to talk about but when you visit other countries that may not have the same purification processes that your body is used to, diarrhea can happen. E. coli can ruin any one’s holiday. Now there’s an answer to preventing this from affecting you. 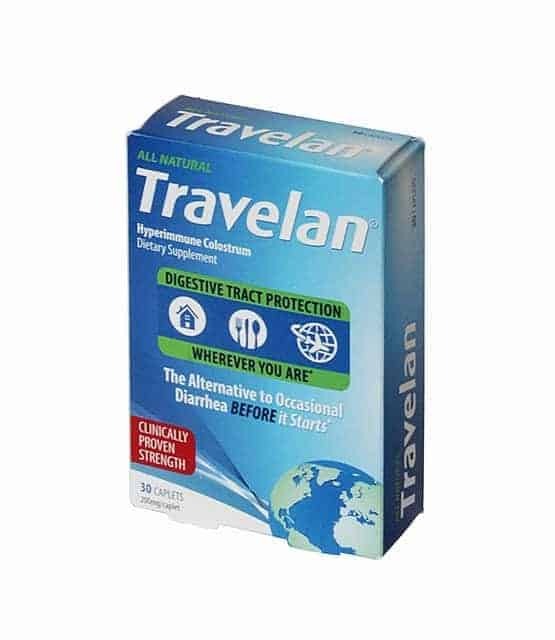 Travelan is a natural dietary supplement specifically designed to reduce the risk of infection by E.coli (ETEC) as well as Shigella, Salmonella and other bacteria that cause Travelers’ diarrhea around the globe. 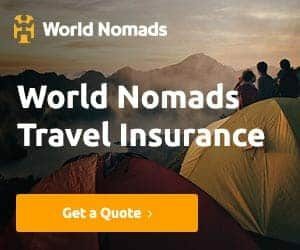 Travelers diarrhea is caused by the consumption of food or water infected with bacteria, these bacteria attack the intestines releasing diarrhea-causing toxins into the bloodstream. 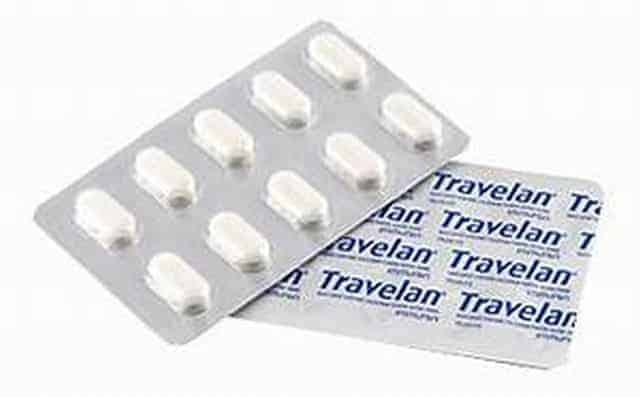 Travelan binds to E.coli in the gastrointestinal track preventing them from attaching to the intestinal wall and thereby neutralizing their ability to cause diarrhea and its associated symptoms. We traveled to India for 17 days. Throughout this time I took Travelan as instructed. One tablet just before each meal. I did drink bottled water throughout the trip (a least that is what I was told I was drinking). And we didn’t think twice about anything we were eating. We ate in all levels of restaurants including street food. I’m happy to say that for the entire trip, I had no stomach problems. I can’t say with 100% certainty it was due to Travelan but I have friends who visit India frequently and tell me every time they visit they get diarrhea. So my faith is pretty high that Travelan works. Clinical trials show Travelan confers protection of up to 90% against infection with the major strain of E.coli that causes travelers’ diarrhea. In addition, these trials showed a significant reduction in abdominal cramps and stomach pain compared to those who did not receive Travelan. There were no reported treatment-related side effects. If you travel, then I’m sure you take a bunch of digital photos. Even if you just use your phone, you end up with some great shots that I’m sure you’d love to display. 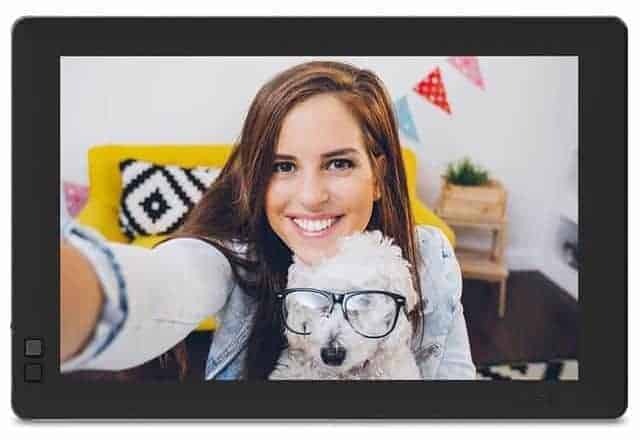 Enter the Nixplay Seed 10.1 inch Widescreen WIFI photo frame. We have this frame on our desk and love it. This is nothing like the digital photo frames of the past. This has a 1280 x 800 high definition screen. It has a motion sensor on the front that will turn the frame off when no one is in the room. 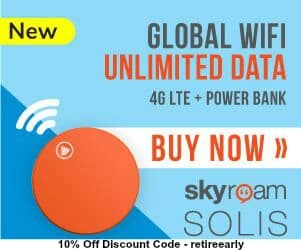 You load photos via WIFI from your computer or mobile device. It so simple to use. Originally, we were going to give this frame as a gift to my mother who lives far from us and then remotely loads photos of our trips so she could enjoy them. But, once I played with this frame for a bit, we ended up keeping it for ourselves. Your photos are uploaded to the cloud and then the device downloads them automatically. You can create playlists and show only the playlists you want. Maybe have a playlist of your kid’s birthday parties, another for a vacation you went on. Using the Nixplay Web app, you manage all your photos from one account. Upload photos from your social media platform, mobile device or computer and assign them to your Nixplay frame with drag and drop simplicity. It’s even Amazon Alexa compatible. So you can just tell Alexa what playlist to display. 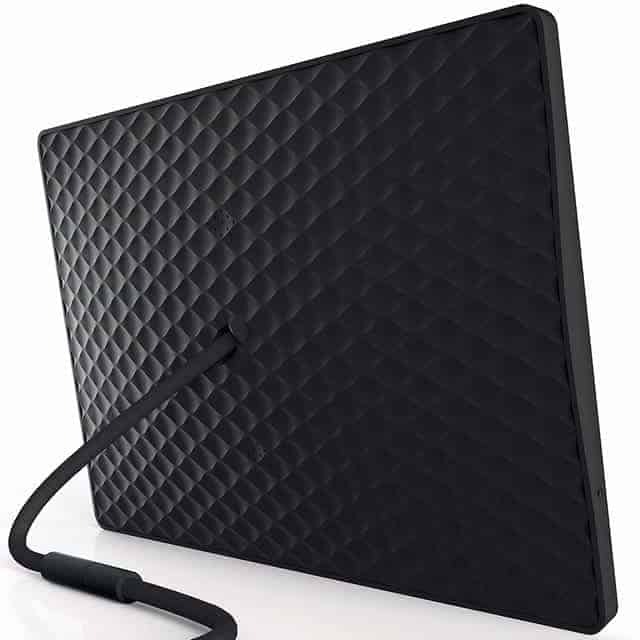 The Nixplay comes in a few different models. I picked the narrow bezel frame and widescreen format since I shoot all my pictures in a 16:9 aspect ratio. Even though I don’t travel with it, it made my travel items list because it’s a great way to keep the last trip fresh in your mind. You’ve probably heard lately all the hype over CBD oil. There’s a reason it’s in the news, and that’s because it’s a powerful health supplement to help you achieve optimal physical and mental performance. CBD is the abbreviation for the word “cannabidiol” and it is one of over 100 cannabinoids you find in the hemp plant. CBD is a non-psychoactive cannabinoid known for its positive effects on both the body and mind. 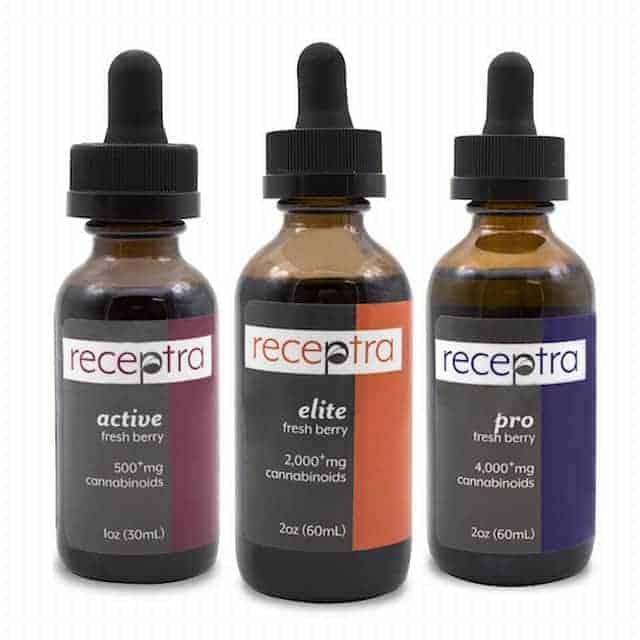 Receptra makes its full spectrum CBD oil from organic hemp grown in Colorado. Marijuana plants also produce CBD oil, but these products often have different cannabinoid profiles and are likely illegal as they regularly contain more than the legal amount of 0.3% THC. Also, don’t confuse CBD hemp oil with hemp seed oil. Hemp seed oil is a product they use in food and beauty items similar to how you would use olive oil or walnut oil. CBD will not get you high. 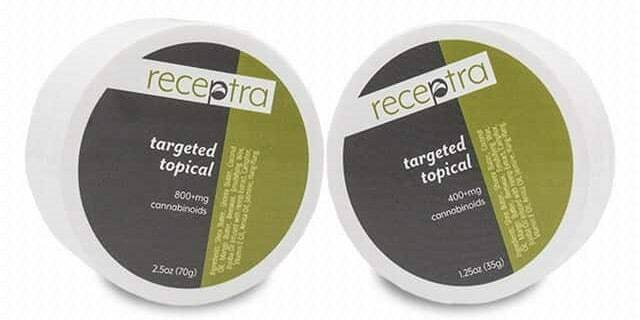 Receptra’s makes their CBD oil from organically farmed hemp, not from marijuana. The cannabinoid responsible for generating notable psychoactive effects is tetrahydrocannabinol (THC). Hemp and marijuana are both considered cannabis. Aside from their method of growth, the big difference is that to be considered hemp, the plant must contain no more than 0.3% THC. 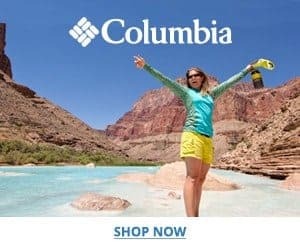 In Colorado, where Receptra’s organic hemp is grown, the Department of Agriculture does not allow hemp with more than that percentage to be used for the creation of CBD products. In fact, they destroy any crop that tests higher than 0.3% THC. 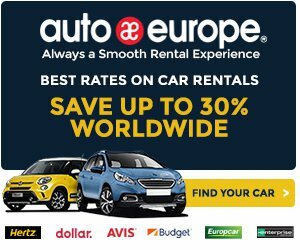 How does this relate to travel? Well if you travel then you know it can be taxing on you both physically and mentally. From the long plane rides to time zone changes, all are taxing on the body. My son and I take the CBD Elite and the Plus. It’s not always that obvious whether you see or feel an improvement. Especially when you are generally a healthy person. My son takes the CBD Elite and after about a week was noticing that he was sleeping better. Overall, we both felt more energetic and alert. I also think it helped with jet lag recovery after a long flight. They also make one for your pets. 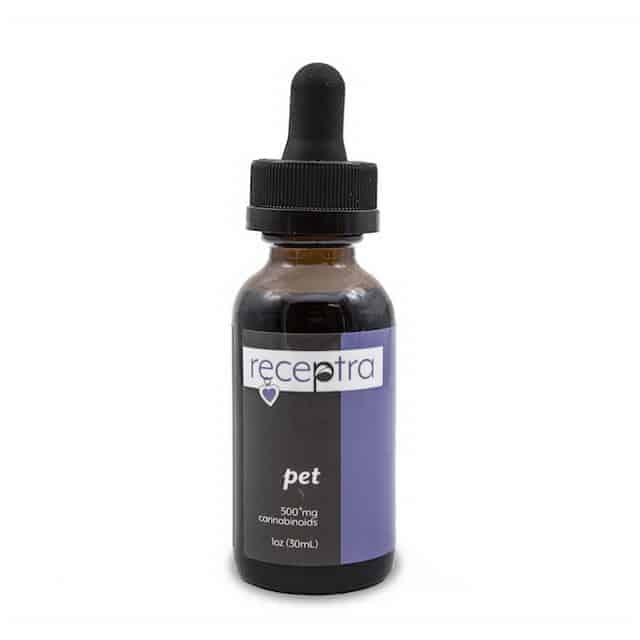 We give our two dogs Max and Molly the Receptra Pet that has been specially formulated for your pet. 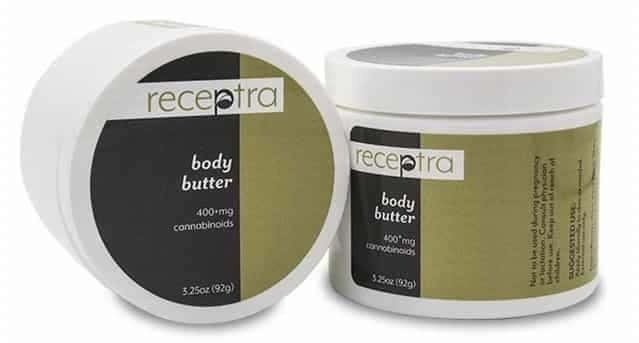 Receptra makes some other great products that help with your aches and pains and soothing your skin. This is a must-have app if you cross time zones in your travels. We don’t want to waste a day or more of travel trying to adjust to time zones because of jet lag. That’s why we love this app that turns advanced science into simple advice. 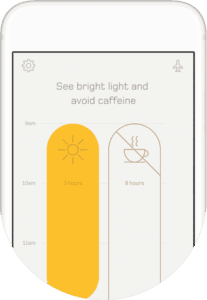 When we follow the advice in this app, we never have a travel down day. 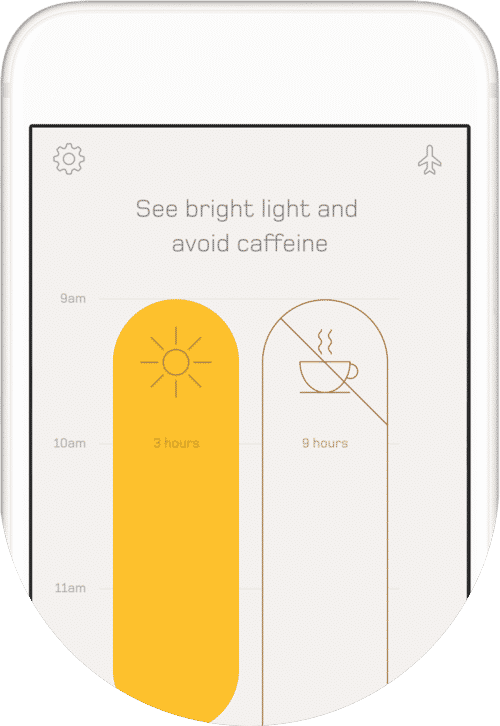 Timeshifter is the most advanced jet lag tool in the world. It’s based on the latest research in sleep and circadian neuroscience and is used by astronauts, elite athletes, and top CEOs to perform at their very best. You simply enter your flight itinerary into the app and it creates a custom schedule for you to follow. It’s as simple as taking small actions at specific times. I especially like that it works offline. You get alerts even when you’re on the plane in airplane mode. You can download the app below and get one trip for free to try it out for yourself. This is not really a typical travel item but I think it is very important for everyone to have software that can recover a deleted file. At some point in our lives, we will delete a file (maybe a photo) by accident. Wouldn’t you like to have the ability to recover that file? 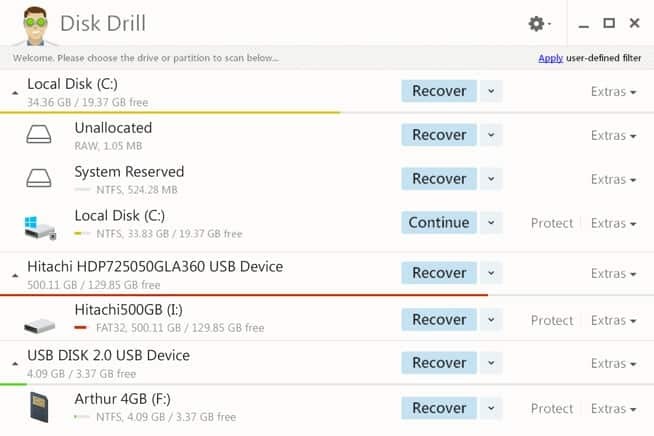 With Disk Drill, you can recover a deleted file on a Windows or Mac computer. This simple to use software scans your hard drive or thumb drive and displays all the files it is able to recover. Then a one-click recovery makes it simple to use. Disk Drill offers a basic free version so there’s no reason not to have this software. You can also upgrade to the pro version to give you more capabilities and peace of mind. These are the top travel items we found and used this year. It’s amazing how innovative companies are today. We will continue to evaluate new travel items as they come out and update you in future posts. Check out last years Top Travel Gadget Picks. Have you ever thought about taking a Panama Canal cruise? If so, check out our Panama Canal cruise post. Great post and advice. Very useful information, it clarified things a lot for us. Thanks for the wonderful blog.